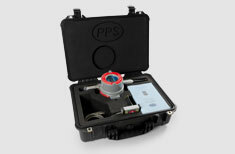 The PPS31 Wellhead Pressure Logger is a programmable gauge that samples pressure and temperature providing real time monitoring. The logger has a highly viewable LCD display where data can be read and also has built in memory. The intrinsically safe design means this logger can be used in critical environments.